One of the most critical aspects of architectural visualization with Blender is the modeling stage. That is where everything will start and using a model with the wrong proportions or measurements will have a catastrophic impact on the final result. Therefore, you must use a high level of precision to create your 3d models in Blender. Blender has a way to create 3d models with numeric precision called advance that you must know how to use. If you have to manage projects using feet and inches, the advance mode becomes even more critical. How to use advanced mode? For artists coming from Blender 2.79 to Blender 2.8, the good news is that Advance Mode remains the same. 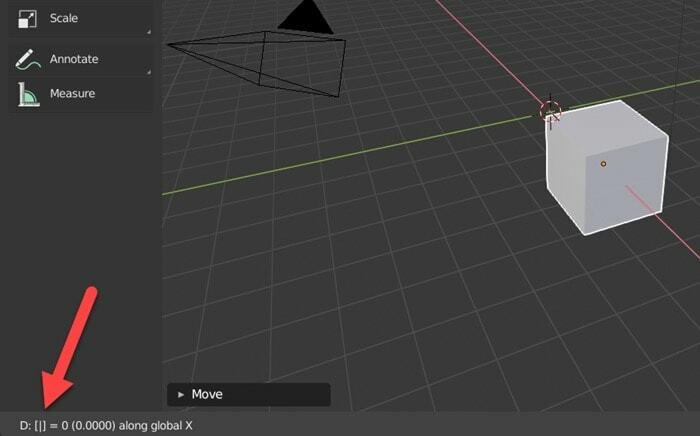 When you trigger a transformation in Blender, like the Move (G key) and constraint it to the X-axis (X key), you can type any value in your keyboard to set a precise length. For instance, to move an object using three units you can type 3 and press return. What units does Blender use? If you don’t specify any unit Blender uses something called Blender Unit, which is equivalent to meters. How can we use Advance Mode? In any transformation, before you type a numeric value, press the equal key (=) in your keyboard. You will see brackets in your status bar. Now, you can type not only a single value but a full expression. For instance, let's say you have a floor plan with multiple values, and you must use the lengths from several dimension lines. Blender will do the math for you and apply the numeric transformation. How is that so important for architects and artists using imperial units? The trick here is to make use of a feature from the advanced mode, where you can add the unit to the expression. 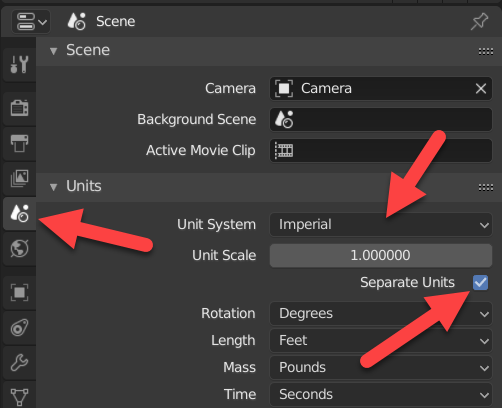 Let me show you an example, but before anything, we have to make Blender use Imperial Units. Go to the Scene Panel and pick Imperial as the Unity System. You should also mark the Separate Units option. Why do we need separate units? 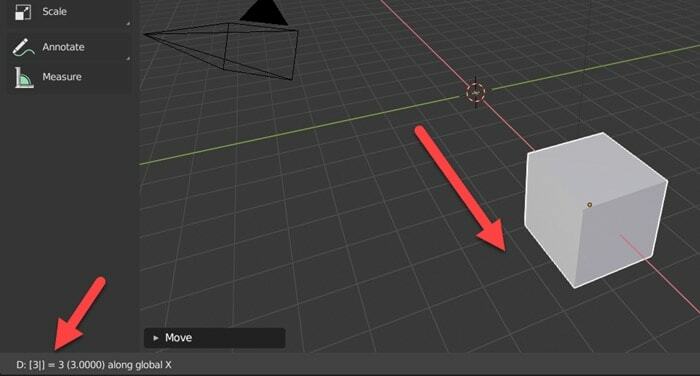 With that option, Blender will split values for lengths in two parts. A standard convention for measures is to display them using feet and inches at the same time. For instance, when you have a length of 1.5 feet, you usually display that like 1 foot and 6 inches. When you enable Separate Units, Blender will start to understand and separate itself all lengths. Both options will work just fine! The same will work for units in the metric system. You can mix meters with centimeters. That is how advance mode can help you with architectural modeling, no matter if you use the metric or imperial units systems. If you want a detailed look in how to use feet and inches for modeling in Blender, don’t forget to check our e-book. It has almost 100 pages full of examples of how to use this feature for modeling. It is also available from Amazon if you prefer.